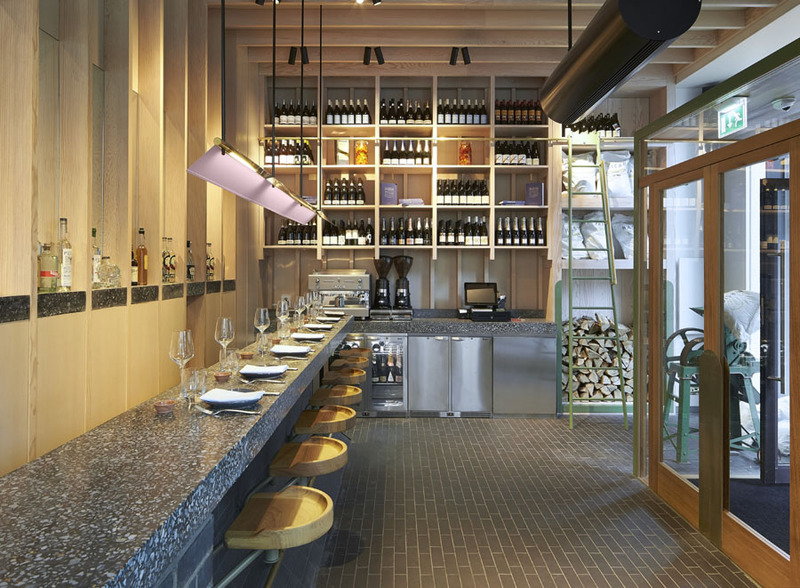 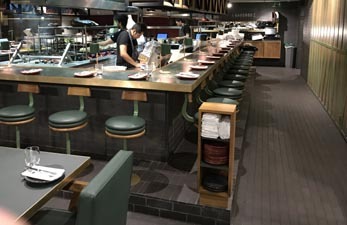 The Temper Restaurant in Soho is a new basement barbecue restaurant that opened in November 2016. 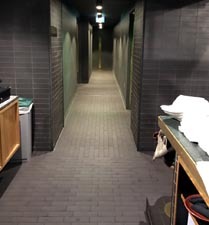 It was fitted out by Blue Crow Projects who used staffordshire blue brick sized quarry tiles for the floor to great effect. 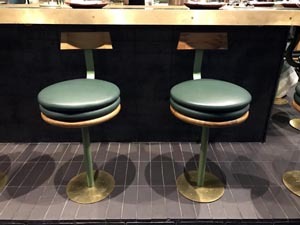 They have used a running bond in the main areas and a stock bond on the raised floor around the bar. 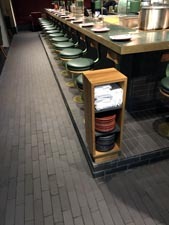 Matching staffs blue brick slips also feature in a stock bond on the walls.